Soho is a mix of many things: stately and artsy, serious and whimsical, old-school and of-the-moment. It's also a mix of tourists and locals looking for the ultimate in dining and shopping. And they'll find it in the tons of high-end shops and restaurants. Just around the corner from Louis Vuitton, Adidas, and the Apple store is this enormous space. The entrance is dramatic as one descends a flight into a gallery like space with columns, recessed lighting, white walls, and large sales area. There's also three dressing rooms, plenty of storage, and a break area. 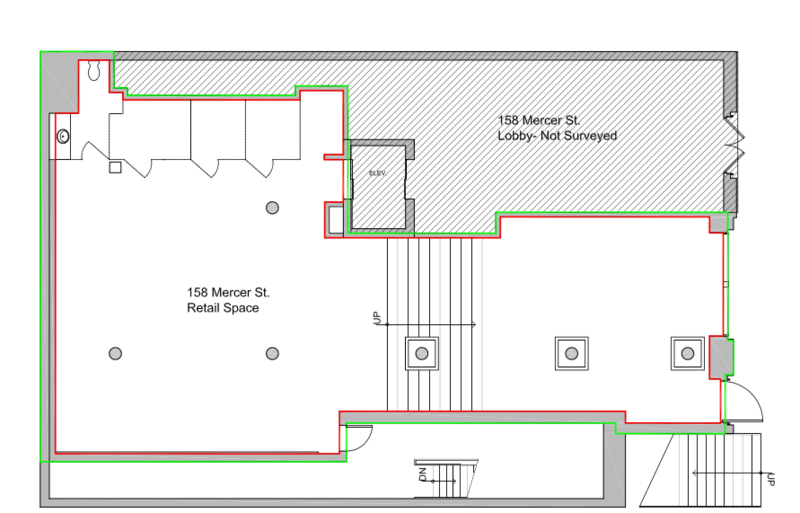 While this location can be used for almost anything, it is ideal -- due to its prime location -- as a retail shop. With all of the activity in the neighborhood, the sidewalks are almost constantly packed with pedestrians who arrive via the tour buses that drop off nearby, the public buses, or the N/R trains that are just two blocks away. Insurance requirements for this space are extensive. There is minimal shelving in the storage area and no built in shelving in the main space.